Internet of things has numerous applications in healthcare, from remote monitoring to smart sensors and medical device integration. IOT boosts the patient satisfaction by allowing them to interact with their doctors. It can keep patients safe and healthy and improves the delivery care of physicians. IOT has a large number of applications in healthcare that benefits patients, physicians, and families. Increasing ageing population, advancement in the technology, increasing adoption rates of remote patient monitoring systems are the major factors that boost up the market. 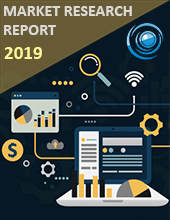 North America Internet of Things in Healthcare Market is projected to reach approximately $ 159,149.05 million by the end of 2024 with a CAGR of close to 35.2% during the forecast timeline 2018-2024. The significant factors that propel the growth of the North America Internet of Things in Healthcare Market are the emergence of big data, growing incidence rates of chronic diseases, increasing demand for cost-effective treatment and disease management, better accessibility of high-speed internet and implementation of IOT solutions for reduced cost of healthcare. However, lack of competence in deploying IOT solutions and regulatory implications are the factors that hinder the growth of the market. North America Internet of Things in Healthcare Market is segmented by the component, application, communication and end user. By Component, the market is segmented into medical devices, systems, and software, service, and technology. By application, the market is classified into patient monitoring, telemedicine, and mobile health. By Communication, the market is further organised into communication technology and networks, and by the end user, it is categorised into clinical research organisation, research, and diagnostic laboratories and hospitals. By Geography, the market is segmented into various regions namely U.S., Canada, and Mexico.